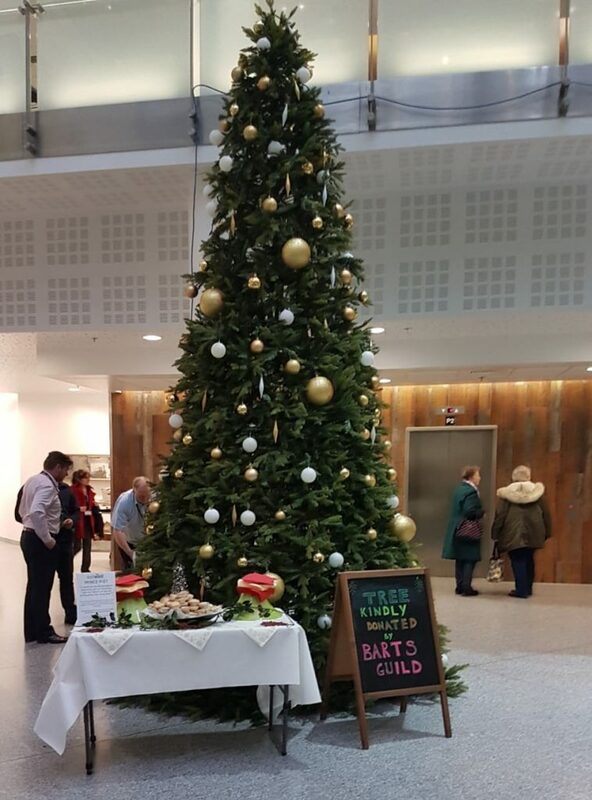 Barts Guild is pleased to have supported the purchase of a Christmas tree which takes pride of place at Barts Hospital. 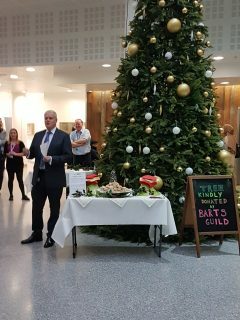 The tree was officially welcomed today by Professor Charles Knight, Barts Hospital’s Managing Director; as can be seen, it is an impressive addition to the atrium! This is just one of many ways the Guild will support the hospital over the festive season, alongside providing gifts to patients and staff, including on Christmas day itself. The Guild wishes everyone a pleasant Christmas and a happy New Year!